"Palava" in Portugese means to speak aloud. Palava also pronounced as plaba in some West African states means to argue. 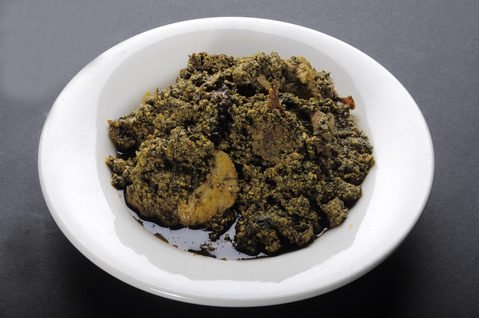 The "Palava sauce" like its derivative is a precise mixture of vegetables, spices, seasonings, palm oil, meats and fish which arguably make a delicious blend. Winning this argument takes a good hand which comes with practice and patience. Thanksgiving- Place your orders NOW!! My passion for African Cuisine led me to stage its numerous attributes for healthy lifestyles. African dishes are under-exposed. The lost jewels of the dinner table. I owned , managed and opened the then Awujoh restaurant-a Zagat 2006-2007 rated establishment that enjoyed rave reviews from The Home News Tribune, The Star Ledger and The Courier News. Recipes and methods are featured in a new cookbook entitled- My Wife's Hands, coming in April/May 2011.